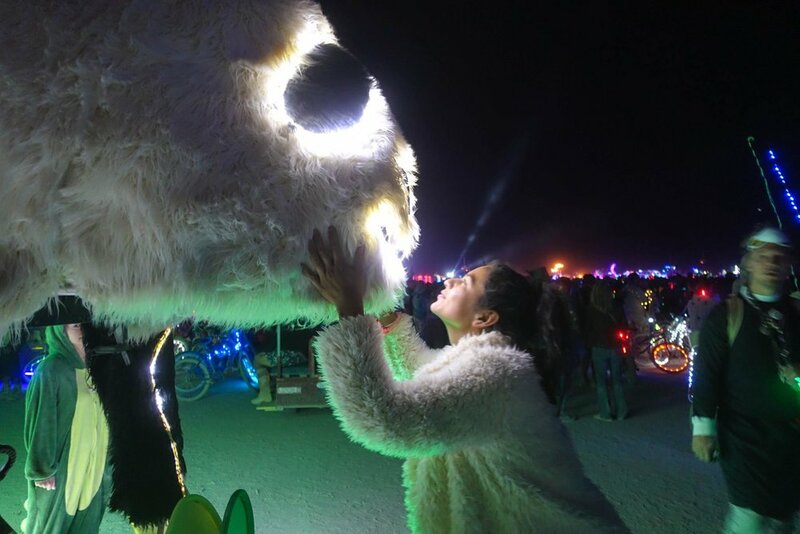 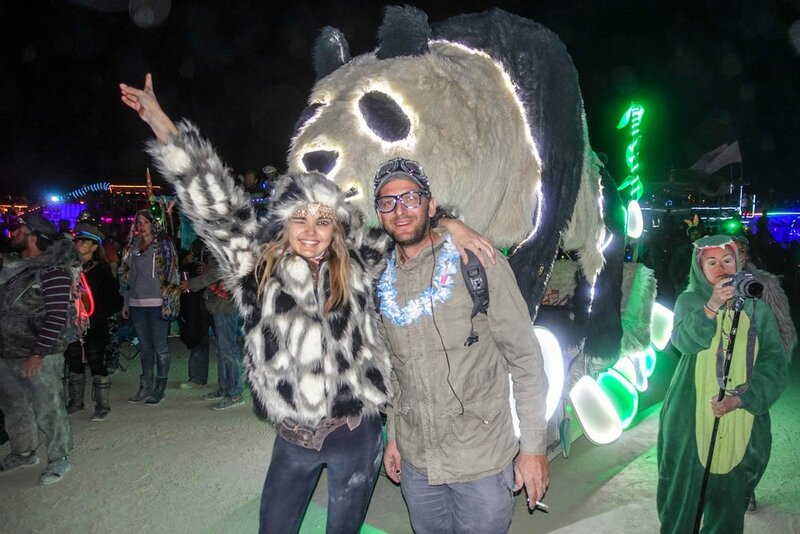 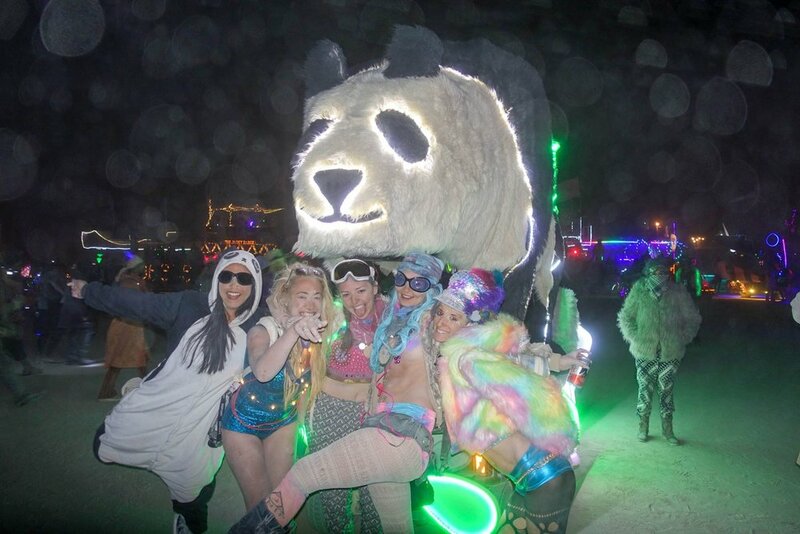 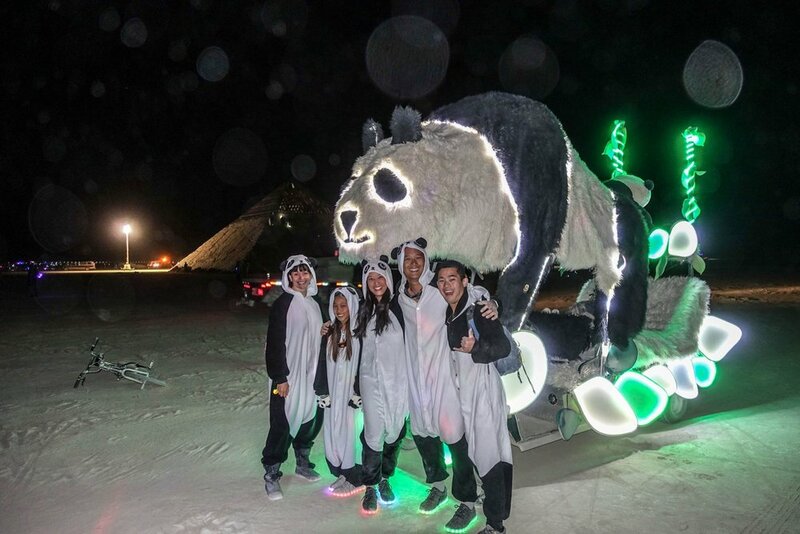 For 2016, We grew our Playa Panda camp to 6 people. 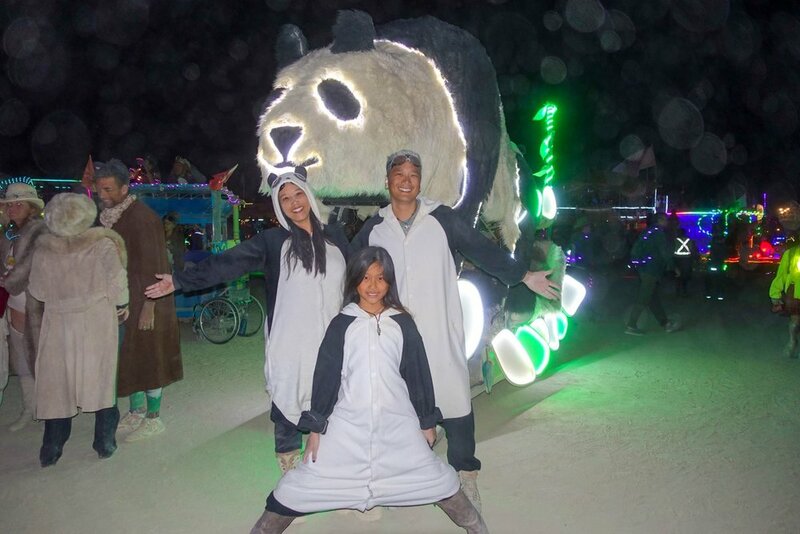 We are a diverse group of campers ages ranging from 9 years old to 54. 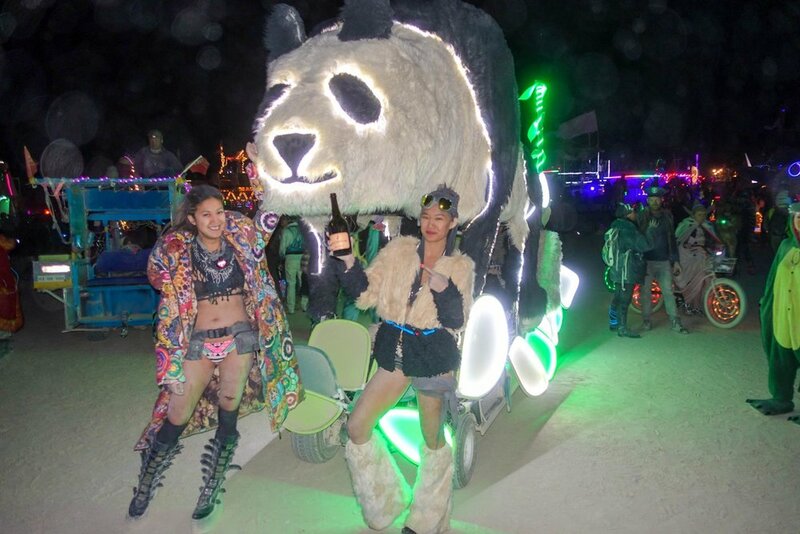 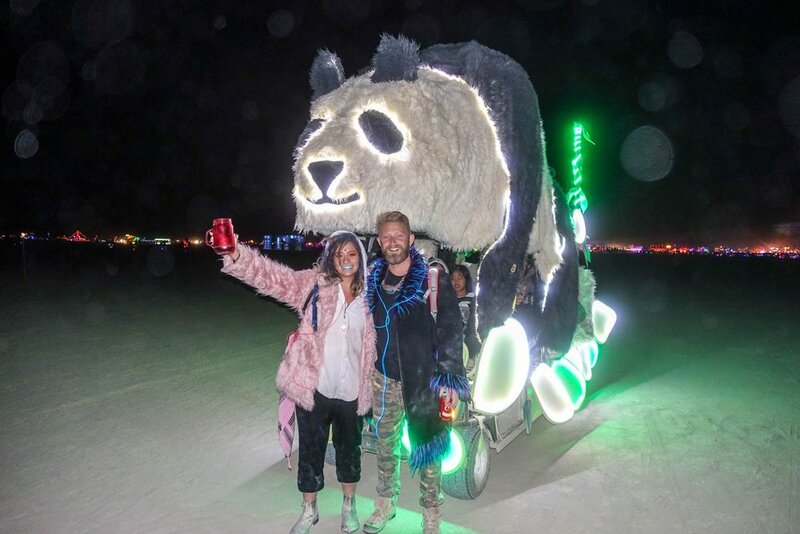 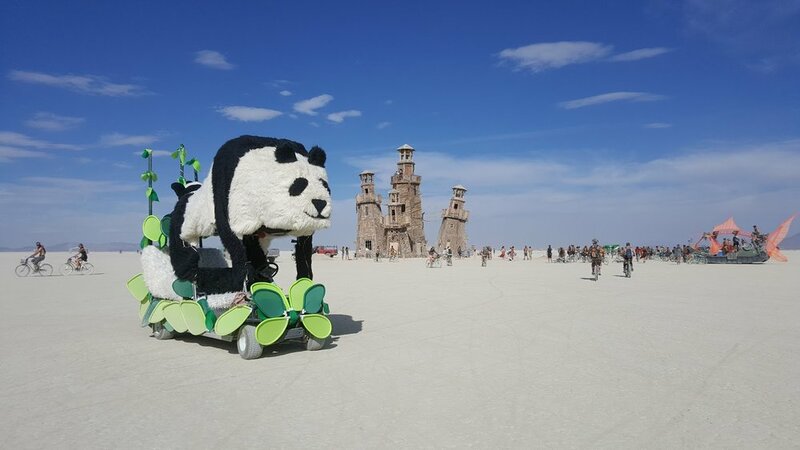 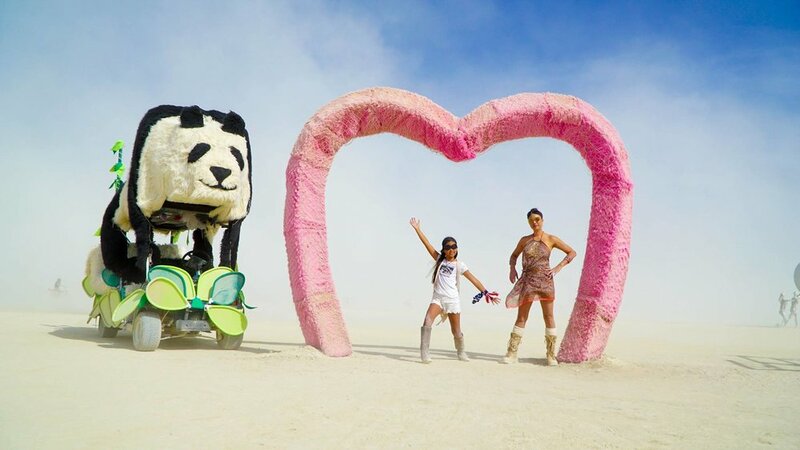 We worked hard this year to take Derpy- the playa panda to a new level by completely covering up the base vehicle with glowing bamboo leaves. 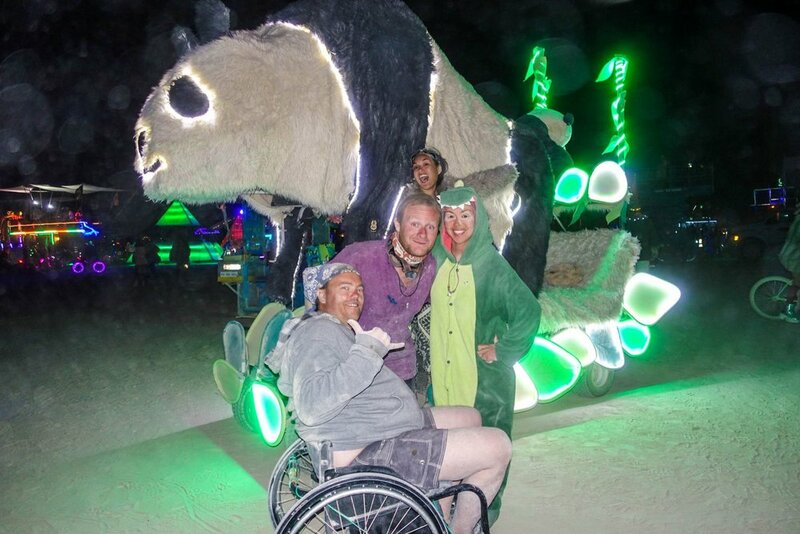 This added a new level of design and radical illumination. 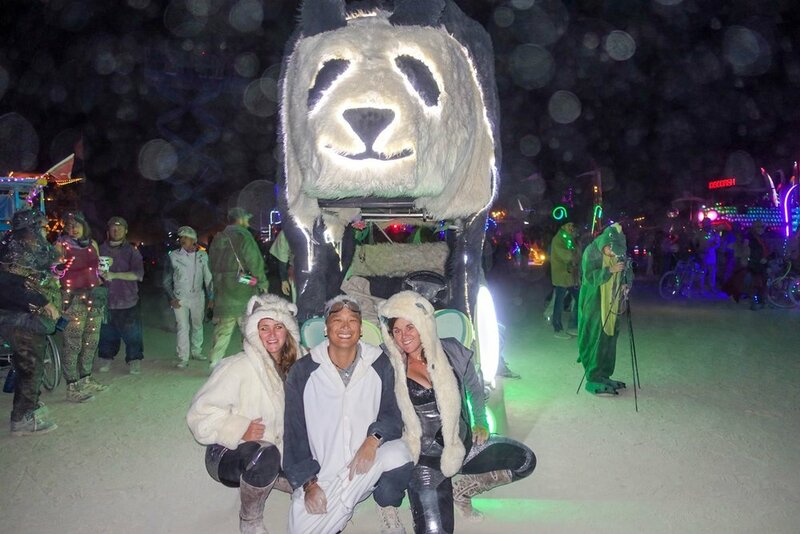 When taken out to deep playa, you can see the panda in the bamboo leave for miles! 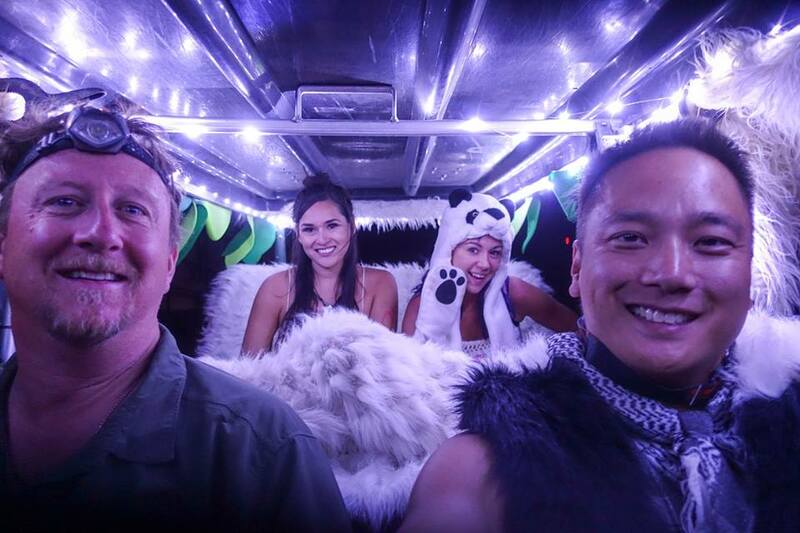 Having had so much fun with cuddle puddles, we decided to fur the entire bed for the passengers. 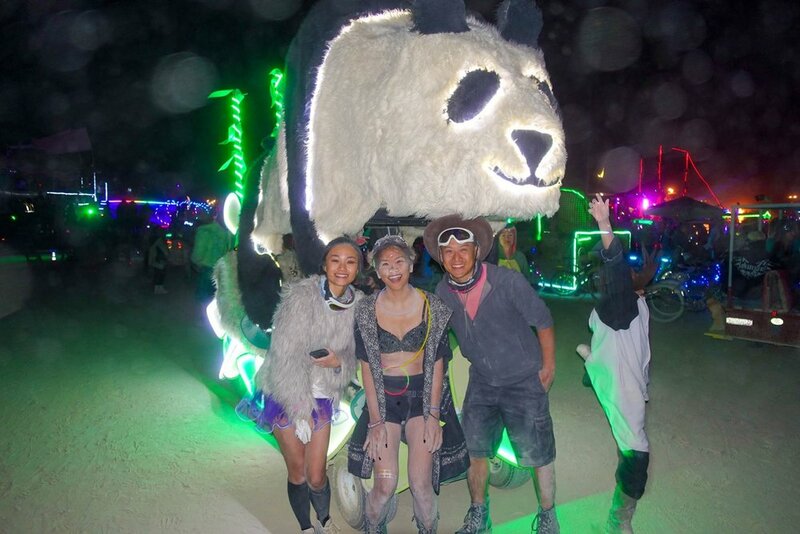 We even added a new mini- panda fondly named Derpington. 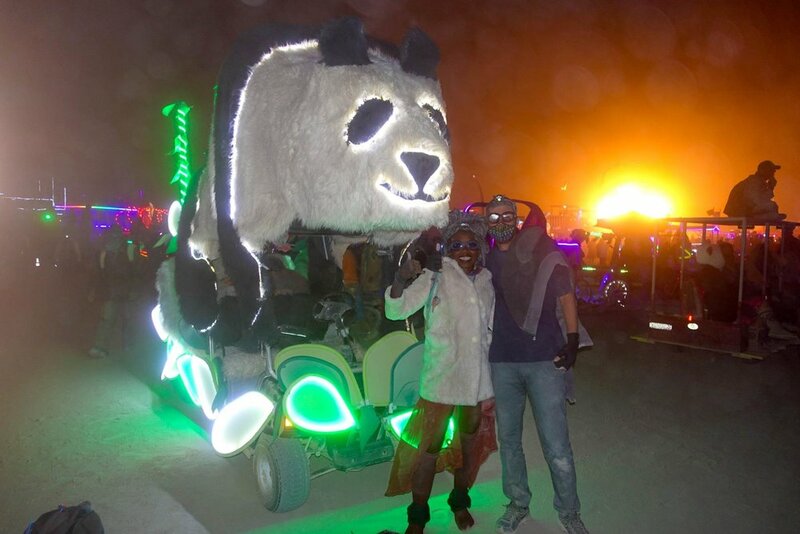 Below is the sketch that Eric put together as the designer of the mutant vehicle. 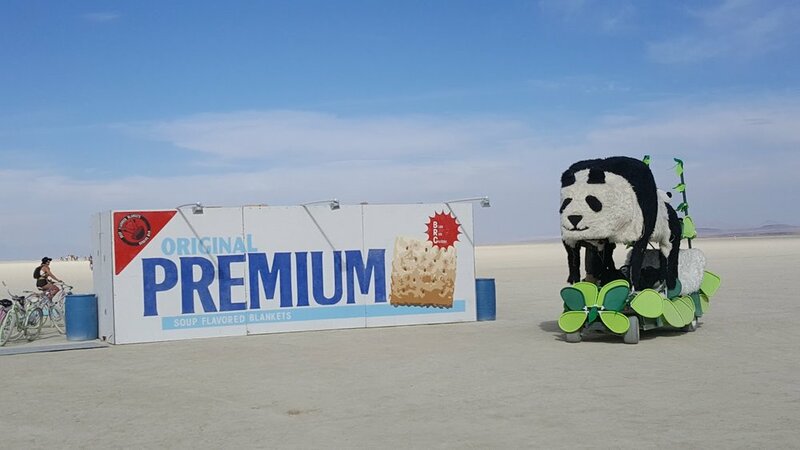 As you can see, it came out pretty much exactly as planned. 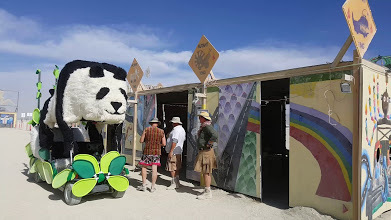 This was the 2016 FINAL VERSION.